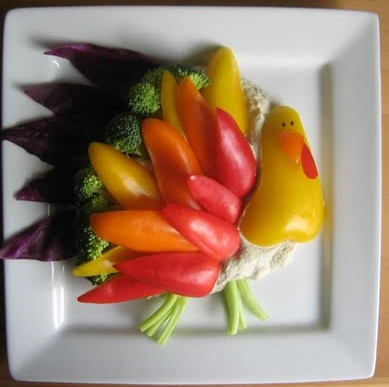 What Do Vegetarian (Freaks) Eat for Thanksgiving? It’s the number one question I get. Never mind that I never eat dead animals, but, “What do you eat for Thanksgiving?” Being a vegetarian that one day is nearly sacrilege. I’ll break it gently–I eat the same types of things that I eat every other day of the year. Simple. The pilgrims didn’t center their meal around Butterball, either. Sure, they might have had wild turkey on the table–they were tough to catch and not yet genetically modified for tenderness and extra white meat–but they were more likely to have other fowl, such as duck, goose, and pheasant. They also had five deer. There was no pumpkin pie (sugar was for rich people and the Wampanoags failed to use their corn to produce corn syrup) so they subbed in an amazing prune tart with rosemary for dessert. Sounds like a paleo cookbook. Needless to say I never ate lobster again. So, if I were a Pilgrim, I wouldn’t have enjoyed lobster. Even if Squanto did the executions. 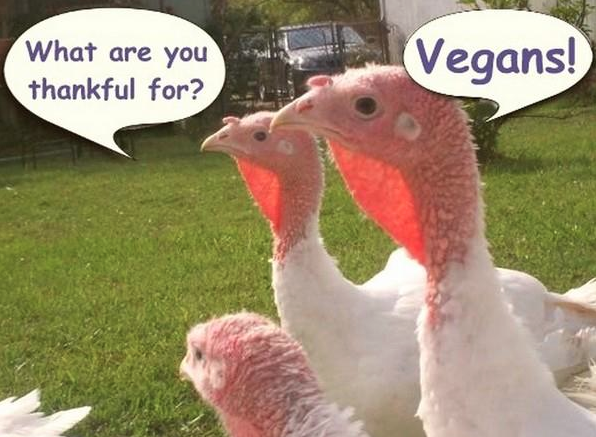 Today, Thanksgiving has plenty of options for vegetarians. We have a world of ingredients that don’t include dead things, and since I can cook a ton of stuff from scratch, the sky’s the limit. I was thinking of a curry, but that’s not allowed. Last year I was told, “You will not make whatever smells like that near my turkey again.” I thought it smelled awesome. I figured Ethiopian food might get the same reaction. So, this year, I’m going Dominican. You might say, “But there’s no Spanish food that’s vegetarian!” You’d be right. One year, I had one single Dominican student (ever) who was a vegetarian, and he had a host of dishes that were recreated without dead things. Tasty. He taught me some. So, I’m making something I can’t really translate correctly that’s supposed to have pork in it. I substituted chick peas. Fair trade. In case you are wondering, I will eat on Thanksgiving. Probably better than people sucking down wings in front of a football game. If you want some vegetarian food, I can save you a sampler plate–some of which I even grew myself, and none of which was killed by me. That makes it a tasty, good karma Thanksgiving, where the turkeys who taunt me in my road get to live just a little bit longer, and I like my food just fine.